Finishing products is just so satisfying. SO satisfying. I’ve finished 3 more things, and sadly they were all awesome products, all will be missed and all are expensive to replace. Oh no. They do all come highly recommended though. My MAC Soft & Gentle has finally been finished. After daily use for a long time, I worked my way through the entire thing. It turns out that I really like highlighter – I would be the first to say that I am heavy handed when it comes to the highlight – more is more, in my book. Soft & Gentle is a really nice highlighter, it just manages to make skin look glowy without too glittery. I am using the Balm highlighter at the moment, but will repurchase this once I’ve used that up. NARS creamy concealer (in Vanilla) was such a good concealer for under the eyes, but now I have found something even nicer… will reveal all soon. 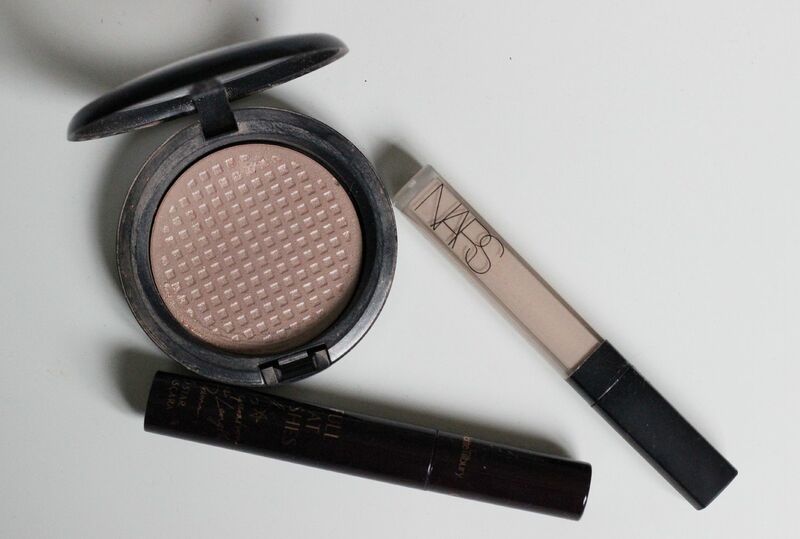 Concealers under my eyes always seem to fade throughout the day, I have never found one that is *holy grail*, but the NARS one is a good choice. The Charlotte Tilbury full fat lashes mascara was disappointing at first, but once it ‘dried up’ a bit it got a lot better. The brush is a bit big though, and I did frequently get mascara on my lashes. That always happens though – I am cack handed.